Let us understand something. Mass surveillance was always illegal. What happened is that it became both possible and cheap and the temptation became practical and even financially invisible. Thus, knowing that this broke every conceivable law and common sense even, They chose to proceed using a legal smokescreen in case they got caught along with a deep cloak of secrecy. One shielded the other. Then the inevitable happened. Someone asked the simple question: Just what in hell am i doing and is this right? There was no good answer. It was like been the technician who turns on the gas generator at Auschwitz. His answer was brilliant. He did a complete data dump so no stone could remained unrevealed. It was unpleasant and a rare true secret also came out. But it was this that led to this question been put in front of the courts now. This game could have gone on for decades until a criminal class figured out how to exploit it and bring about a serious disaster. .
A federal appeals court ruled in a landmark decision on Thursday that the bulk telephone surveillance program operated by the U.S. National Security Agency and revealed in 2013 by whistleblower Edward Snowden is illegal. The Second Circuit Court of Appeals in New York said the surveillance program, which swept up billions of phone records and metadata of U.S. citizens for over a decade, "exceeds the scope of what Congress has authorized" under the Patriot Act. 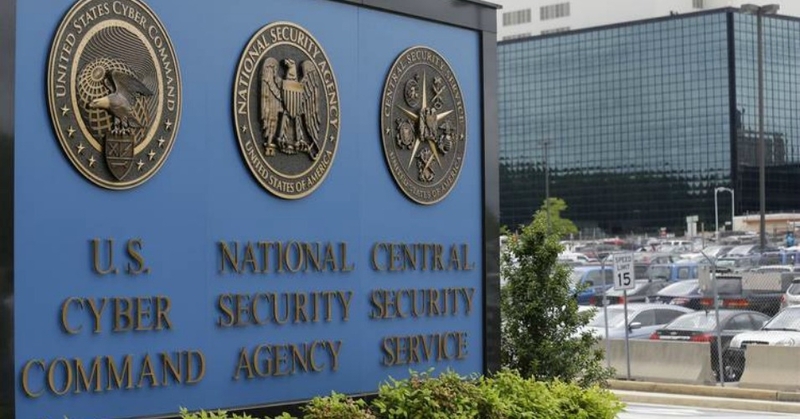 The NSA and the government have long held that key provisions of the act, particularly Section 215, justify the surveillance program. "This decision is a resounding victory for the rule of law. For years, the government secretly spied on millions of innocent Americans based on a shockingly broad interpretation of its authority. The court rightly rejected the government's theory that it may stockpile information on all of us in case that information proves useful in the future." - ACLU staff attorney Alex AbdoIf the government is correct, it could use Section 215 to collect and store in bulk any other existing metadata available anywhere in the private sector, including metadata associated with financial records, medical records, and electronic communications (including e‐mail and social media information) relating to all Americans. Such expansive development of government repositories of formerly private records would be an unprecedented contraction of the privacy expectations of all Americans," the court wrote in its decision. The ruling also overturns an earlier decision in a case brought by the ACLU in 2013, which said that the program could not be judicially reviewed. In its 96-page decision, the three-judge panel avoided saying whether the program was unconstitutional. 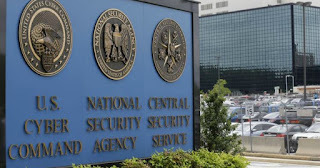 However, the judges warned that as Section 215 and other key provisions of the Patriot Act near their expiration date of June 1, "there will be time then to address appellants' constitutional issues." ACLU staff attorney Alex Abdo, who argued the case in September, said in response to the ruling, "This decision is a resounding victory for the rule of law. For years, the government secretly spied on millions of innocent Americans based on a shockingly broad interpretation of its authority. The court rightly rejected the government's theory that it may stockpile information on all of us in case that information proves useful in the future. Mass surveillance does not make us any safer, and it is fundamentally incompatible with the privacy necessary in a free society." Such a monumental shift in our approach to combating terrorism requires a clearer signal from Congress than a recycling of oft‐used language long held in similar contexts to mean something far narrower. We conclude that to allow the government to collect phone records only because they may become relevant to a possible authorized investigation in the future fails even the permissive 'relevance' test. We agree with appellants that the government's argument is 'irreconcilable with the statute's plain text'. Despite the ruling, the judges said they would not end the collection of domestic phone records while Congress debates Section 215. "In light of the asserted national security interests at stake, we deem it prudent to pause to allow an opportunity for debate in Congress that may (or may not) profoundly alter the legal landscape," they wrote. In a response to the ruling, ACLU executive director Anthony Romero stated, "The current reform proposals from Congress look anemic in light of the serious issues raised by the Second Circuit. Congress needs to up its reform game if it’s going to address the court’s concerns." Jameel Jaffer, ACLU deputy legal director and lead counsel in the case, added, "This ruling focuses on the phone-records program, but it has far broader significance, because the same defective legal theory that underlies this program underlies many of the government’s other mass-surveillance program. The ruling warrants a reconsideration of all of those programs, and it underscores once again the need for truly systemic reform."